Towards the end of the online story La Séptima Bala, time passes as the girl grows up. We used newspapers suggesting events from the Mexican revolution to show this, which you click on and dismiss. The specifics of these events are not important to the story (ideally, at this point you’re interested to discover what happens to the girl and her seventh bullet). Nonetheless, René did a very thorough job on the artwork for this scene, and made a whole load of drawings which we then carefully compiled into front pages, including these portraits. 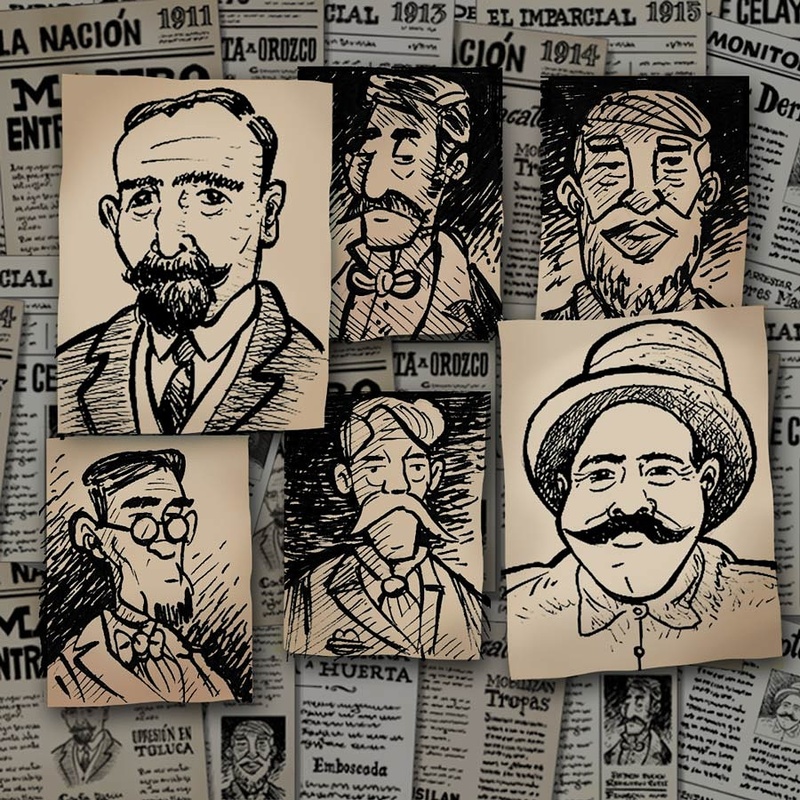 A couple of them are potentially recognisable historical figures from the time (naturally we trawled through contemporary examples to get the right feel, as part of our research). These are just throwaway details (literally! we throw them off the page when the reader clicks on them); just a few pixels across in the final project.